If you enjoy getting your hands dirty and really getting into solving crimes then this is the course for you. I knew I wanted to study a subject related to biology as it had always been a passion of mine, and during my A level biology course I did a module related to forensics. I then chose to study a BTEC in forensics to make sure that this subject was what I wanted to study at university, and I couldn’t have loved it more. I attended an open day at NTU and I just fell in love with the city and the university and knew I had to go there! The facilities and staff were incredible and the curriculum was so interesting. What are you doing now? What are your job responsibilities? I currently work for Cambridgeshire Fire and Rescue as a Business Intelligence and Performance Analyst. The role involves analysing statistical data about fires that occur over the county of Cambridgeshire, what types of fires they are and how they were caused. I am the first point of call to the Home Office, Office of National Statistics, station commanders and fire chiefs, and answer any questions and recall data that they need. Did your course influence your career or help you get the job you’re doing today? Studying forensics at NTU definitely influenced my career. I had the opportunity to learn so much on the course, and I began to learn what I love. For me, it was always about data analysis and my love for forensic intelligence. I had the opportunity to use the skills I learned every week at NTU with the range of different modules that I covered from toxicology to crime scene investigation. I also had the once in a life time opportunity to do a year’s placement in Holland, working for the Dutch National Police, The Dutch National Police Forensic Units and The City Hall. This made me realise the importance of an intelligence role in any organisation. 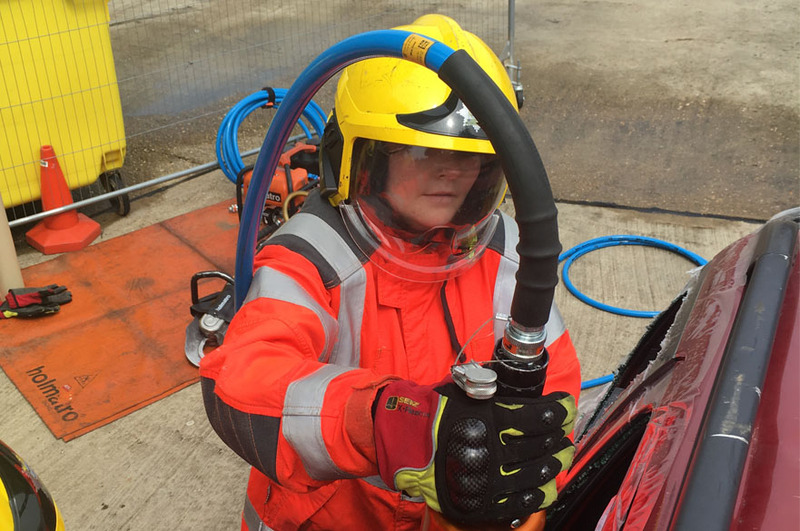 After graduation, my job search focused on intelligence and I luckily found an amazing role working for Cambridgeshire Fire and Rescue which enabled me to put into practice all of my skills. Would you recommend your degree to new students? I would recommend the course again and again! If you enjoy getting your hands dirty and really getting into solving crimes then this is the course for you! From DNA to microbiology, forensic archaeology and crime scene investigation, this course allows you to reach your full potential and gives you choice in what you learn too! Did you go on a work placement? If so, what did you do? For my placement, I worked for the Dutch National Police, Dutch National Police Forensic Teams and Assen City Hall in Assen, Netherlands. This placement year was the best year of my life to date. The opportunity NTU give to their students regarding placements is fantastic and the links with various companies is amazing! The placement was arranged by a lecturer who was former police who went to Holland for work and kept contacts. I showed my interest in the placement early on and worked with the employment team at NTU towards getting it and after a few round of interviews I was told I got it. The placement year shaped me into an independent and enthusiastic student for my last year and future plans. The placement further allowed me to get my current job role as they were very interested in the transitional skills I could apply to the current role and were enthusiastic about my stories. During my time abroad, I made many life-long friends, fantastic contacts (which I used for references on my CV) and fantastic memories. NTU has some of the best Forensic facilities for their students wanting to learn forensics, from the paperless superlab containing its incredible technology and equipment to its state of the art crime scene training facility showcasing different scenes to practice on to its blood pattern analysis room. No other university has one like it! The 24hr library facilities allow you to work within by using the computers or study rooms or to grab a book or journal whenever you need it. Nottingham is such a vibrant and busy city and that really appealed to me coming from a small city. The activities available to you when you take study breaks can be so much fun! There are many restaurants, bars and clubs, along with the amazing IMAX cinema and minigolf. There is so much for everyone in Nottingham. Do you have a piece of advice that you would like to give to a prospective student that you wish someone had given to you before you started university? Don’t be shy, enjoy every moment and take everything and roll with it, things will go wrong sometimes but it’s part of learning and it will make you a stronger person!